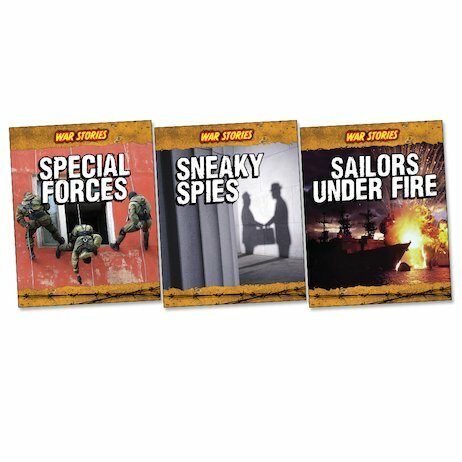 Commandos leaping into the heart of battle, spies risking their lives behind enemy lines, and sailors fighting wars on the ocean waves. Gripping true stories of courage under fire, from ancient conflicts to the present day. Using dramatic illustrations, clear photos and accessible text, these books introduce readers to some of the great wars of history, emphasising how men, women and even children have played parts of great bravery, and changed the entire course of major battles. Packed with fascinating snippets and stories, plus thought-provoking discussion points, the titles each cover a variety of battles and conflicts – some well known to children, others less so.